Components & Accessories – Seal and Cylinder Source – SCS, Inc.
Seal & Cylinder Source, Inc. is a one stop shop for all your hydraulic and pneumatic accessory requirements. How many times have you had to go through multiple suppliers to get everything you need to complete the task at hand. Our goal is to provide our customers with all the tools, accessories and custom products needed to complete the job. We offer a complete line of new Seals, Cylinder, Pump & Valve Accessories and Spare Components. Along with our finished products we can supply the unique extras to keep you up and running. I we are unable to supply a product you need our customer service department will direct you to the proper source. At Seal & Cylinder Source, Inc. We Offer More Than Seals & Cylinders………….We Provide Solutions! Seal & Cylinders Source, Inc. is your complete source for hydraulic & pneumatic components & accessories. Our warehouse stocks replacement parts for NFPA Tie-rod & Aftermarket Round-Body Cylinders. Count on us for Seals, Glands, Rods, Pistons, Heads, Tubes & Tie-Rods for Parker Hannifin, Miller, Hydroline and many other cylinder manufactures. Most of our products are available to ship out same day. Seal & Cylinder Source, Inc. has state of the art machining centers and manual machine shop that can produce most machined parts holding the tightest of tolerances. 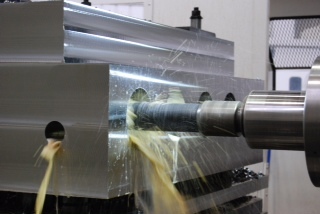 Count on us for all your Hydraulic & Pneumatic machining requirements. Seal & Cylinder Source, Inc. offers a complete line of custom installation and removal tools to meet all your repair needs. 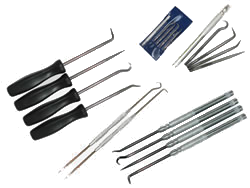 We carry Vee/Ram Packing Kits ,Bead Hones, Pressure Testers, Removal Tools, Packing Hooks, Punch Sets, O-ring Picks, Pump Packing Kits, Telescopic Installation Kits, Seal Identification and Measuring Devices, Hardness Testers, Vulcanizing Kits, Gasket Punch Sets and Cutting kits. 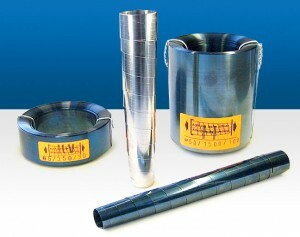 At Seal & Cylinder Source, Inc. we supply protective bellows and covers for all types of machinery and industries . We keep a large inventory of Rubber Bellows, Sewn Bellows, Way Wipers, Way Covers, Way Cover Wipers, Machine Way Covers and Equipment Covers in Stock. Our custom bellows come in all types of materials, sizes and configurations to meet all your specific requirements. You can customize your bellow with zippers, vents and guides. We can also custom make most orders and ship them to you directly within 1 to 3 business days. We provide this quick service to help our customers to reduce their amount of down time. Seal & Cylinder Source, Inc. provides quick manufacturing and shipping to get you the following items fast; Rubber Bellows, Sewn Bellows, Way Wipers, Way Covers, Way Cover Wipers, Machine Way Covers, Molded Bellows, Rail Covers, Wire Supported Bellows, Sewn Round Bellows, Telescoping Conical Spring Covers, Lift Covers, Vulcanized Bellows, Sealed Bellows, Sewn Way Covers, and Custom Protective Covers. Seal & Cylinder Source, Inc. offers telescopic spring covers to allow for traveling speeds up to 40m/min. Telescopic springs find optimum operating conditions in an oily environment. They are not suitable for use where fine particles or dust are encountered. In the latter case we recommend the use of bellows. Telescopic spring covers can be installed either horizontally or vertically. To avoid “sagging”, telescopic springs designed for horizontal use have a larger overlap of coils than those designed for vertical use, and their larger diameter should be located where the majority of chips will be encountered.Due to their high initial torque, telescopic spring covers designed for vertical mounting always require a longer extension than horizontal spring steel covers, and their larger diameter should be at the top. Standard telescopic spring covers are made from high-quality blued spring steel strip (55-58 Rockwell) with rounded edges. Strength up to 1800 N/m2.If regularly used with coolants of high water content, we recommend spring covers be made of stainless strip steel. However, due to the properties of this material, the spring force of these springs is less so that they cannot be made in all sizes. Please contact us for details. Seal & Cylinder Source, Inc. Metal Telescoping Way Covers are custom-designed covers for any machine tool application requiring protection of machine ways and screws. With a quality way cover, your valuable equipment will be protected from hot or heavy chip loads, dirt, oil, coolants, and from accidental damage caused by dropped tools and work pieces. Seal & Cylinder Source, Inc. offers machine way wipers that are manufactured according to the latest machine-building standards. Depending on the material selected, they make allowance for criteria such as dry running, resistance to Microorganisms, Hydrolysis, Mineral Oil, Coolants, Acids, Bleaches, and Gasoline as well as operating temperatures up to 200°C. 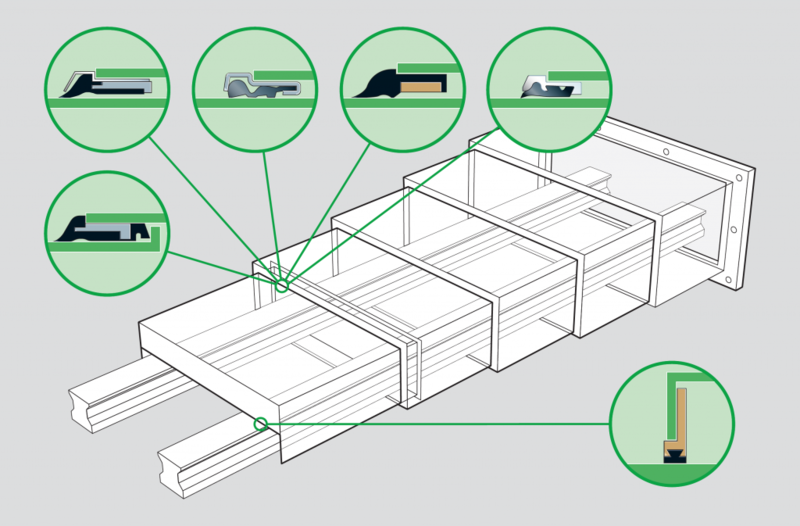 With many different materials, sizes and configurations. We can match the proper wiper to fit with your application. The B Series Way Wipers are made of synthetic rubber with molded-in steel insert, unless otherwise indicated in the drawing. The wipers are manufactured in special molds, ensuring 100% repeat-order accuracy. All B Series wipers are provided with a transparent coating as a protection against chips and corrosion. Except series “M”(stainless steel). Standard lengths are available from stock. The A Series Wipers have been specially developed for telescopic steel covers. They keep cover boxes clean and prevent dirt and chips from entering. The wipers are spot-welded, riveted or screwed to the cover boxes. In confined spaces, some may also be used (vertically) as way wipers. Seal & Cylinder Source, Inc. offers custom formed way wipers with any configuration that is technically possible. These are manufactured in special molds. 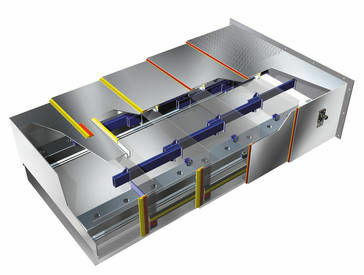 The precision of the mold is a criterion of the wiper’s accuracy and guarantees optimum wiping results. A series wipers are made of synthetic rubber with molded in steel insert, unless otherwise specified in the drawing. All A Series wipers are provided with a protective corrosion oil. 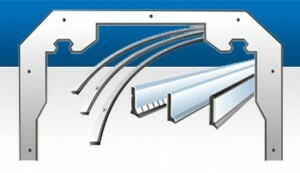 All wipers type B are provided with a transparent coating as a protection against chips and corrosion. Except series “M”(stainless steel). The coating is optionally available in black. For your safety, we shall send you a drawing for approval before production starts. We will gladly accept your CAD drawings which we will then adapt accordingly and return to you for your approval. Your formed wipers can be lettered to your specifications.